Keno is widely played number based game which plays a big part in the Queensland lifestyle. This game is played in clubs, casinos and hotels where you need to choose a set of numbers and bets that your chosen numbers will match any of the 20 numbers randomly selected from a group of 80 numbers by a ball drawing device or a electronic computer system. You can find this fun filled and exciting game of chance at Queensland casinos spread across the coast from Brisbane to the far north. Keno licensing is regulated in Queensland by the Office of Liquor and Gaming Regulation. Keno in Queensland is operated by Tabcorp Holdings, which has has a distribution network of over 3,600 venues across clubs, hotels and TAB outlets in Victoria, Queensland and the ACT. You’ll find keno available in paper ticket form or for electronic play at a majority of all pubs, casinos, RSLs and news agencies across Queensland. A new keno game is held across Queensland every three minutes, so you never have to wait long for your chances to strike it lucky. Keno is a game of pure chance, and lately 35-year-old cane farmer has won a Keno jackpot – the second Keno jackpot to be won by a North Queenslander this year. Also there was a woman from Queensland where the lady luck struck in Townsville after a disability pensioner became Queensland’s first Keno millionaire for 2016. 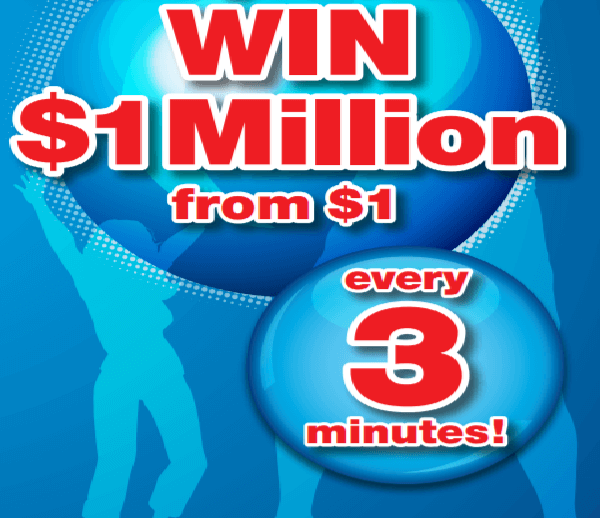 The woman, who has lived in the city for 23 years, said she was elated with the $1,898,276 prize, describing it as “life changing”. The mother of two and grandmother of four, who wished to remain anonymous, spent just $16 on her winning Keno entry at the Kirwan Tavern and had no idea she had won until ­checking her ticket on the way out. Queensland plays keno just like much of the world plays keno. The object of the game is to guess what numbers are going to be drawn next. You have to choose between 1 and 15 numbers, or spots, out of the 80 numbers available, 1-80. After you choose your spots and have marked your keno card and placed your bets all you have to do is sit back and wait for the numbers to be called. When your spots are called it is considered caught. So the more of your spots caught the better your payout will be. In Queensland there is no shortage of keno. There are 590 casinos and hotels that offer the game, not included in that number are all of the clubs and bars that also offer the game of keno. As you can see Keno is a very popular game in Queensland, Australia. Keno can also be played electronically on computerised screens in some venues. The rules and gameplay are exactly the same as like having a Keno paper ticket, the only difference being you need to have the touch screen to make your selections instead of completing the card manually. Keno Bonus Game-In this game you will have the cost of your ticket doubled, but you will have the chance to multiply any keno wins you make by X2, X3, X4, X5 or X10. Keno Heads or Tails- You can easily have this keno ticket in Queensland where you have the option of playing the additional Heads or Tails keno game. 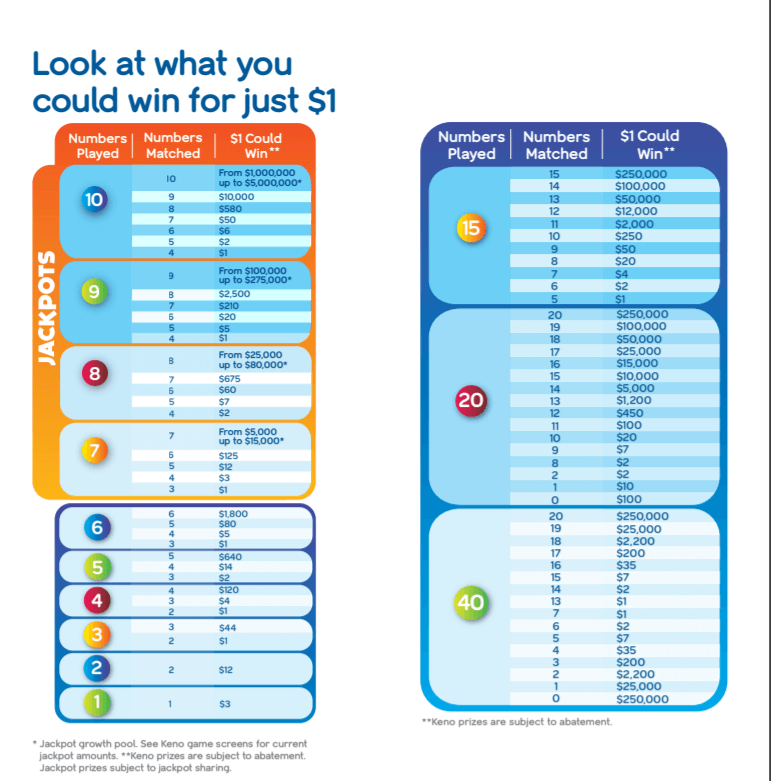 This add-on requires you to choose either heads (that more numbers drawn will appear in the top half of the keno card), tails (that more numbers drawn will appear in the bottom half of the keno card) or evens (that an equal amount of numbers will be drawn from both the top and bottom sections of the card). A successful prediction will award you with double your money. Keno Advanced- In this game you can have a Keno Advanced ticket which allows you to play multiple entries in each game on a single ticket. Winning combinations are formed by combining groups of numbers. Keno Kwik Pik: Make it easy by letting Keno pick your numbers at random for you. Keno is a game that is played many times though out the day and depending on where you are playing you could be playing twice a day up to twelve times an hour. When trying to find keno results in Queensland it can be a little tricky but with a little persistence you can locate websites that offer you all of the lotto games played in Queensland and all of Australia at that. A great example would be the golden casket website. They offer all things lotto and Australia. Brisbane seems to be the biggest players of keno. They have exclusive clubs like the Geebungrsl for members that play keno. Some casinos promote having a keno vault that houses over $100,000 and is available to the one that can crack the keno game code. Brisbane has pubs that play keno games every three minutes. Brisbane also has many winners on record for Keno game. It seems that when in Brisbane it is actually harder to avoid the game of keno than it is to find a place to play keno. Similarly in Gold coast you can play keno in Taverns, Clubs, Hotels and Motels. There are over 46 such places to enjoy the game of Keno. Mackay has over 19 followed by Cairns and Townsville having 17 of such venues to play Keno. Keno in Australia is a big thing. If you are not playing keno then you are not a part of the in crowd. Everywhere you go there is bound to be a screen showing the latest draw results. If you are not into gambling or keno then you might as well stay home.